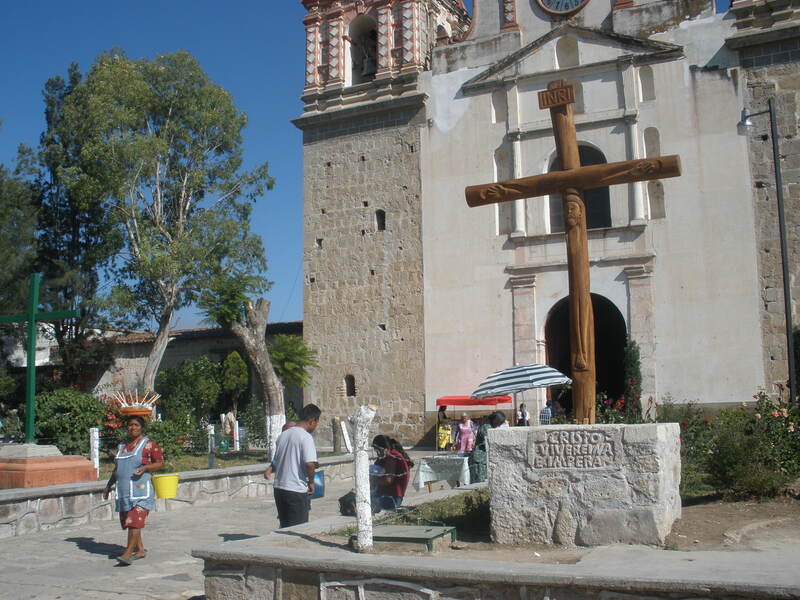 Located 46km southeast of Oaxaca City and approximately 15 minutes by bus from Tlacolula, Mitla is another primarily Zapotec town in the Valles Centrales. The impressive stone mosaics found here are unique to Mexico and date mostly from the last two or three centuries before the Spanish conquest. The intricate stonework in 14 different geometric designs has important symbolic meaning and Mitla is believed to have been the most important of the ancient Zapotec religious centers. Mitla’s cathedral, the Iglesia de San Pablo, is built amongst the ruins, even utilizing some of the crumbling walls as its exterior. It has been suggested that many of the churches in Mexico were built by the Spanish as symbols of conquest, and in some cases constructed directly on top of ruins or utilizing materials gathered after their partial destruction. Exploring the ruins at Mitla it was difficult not to wonder about the construction of the Iglesia de San Pablo. The state of Oaxaca is home to several indigenous groups that account for approximately a third of its population. Nearly 500,000 Zapotecs live in and around the Valles Centrales, or central valleys, including in the towns of Tlacolula and Mitla. Colorful and engaging, this area of Mexico is known for its rich indigenous heritage and traditions. Many people still dress in traditional clothing and speak languages other than Spanish. At times it’s even difficult to resist the offers of chapulenas, or spicy dried grasshoppers, that are sold by the local women from baskets which they balance on the tops of their heads…difficult, but not impossible. Located 31km south of Oaxaca City, Tlacolula is home to one of the Valle Centrales’ largest markets. Sunday is Tlacolula’s tianguis, or market day. Streets are closed to traffic and stalls packed with goods for sale are all that can be seen for blocks in every direction. Nearly anything and everything imaginable is available somewhere in the market. There is even an area with live poultry. It was a lot of fun to watch customers dangling live turkeys upside down, estimating their weight and negotiating prices with the vendors while their children chased the other live birds around in the streets. 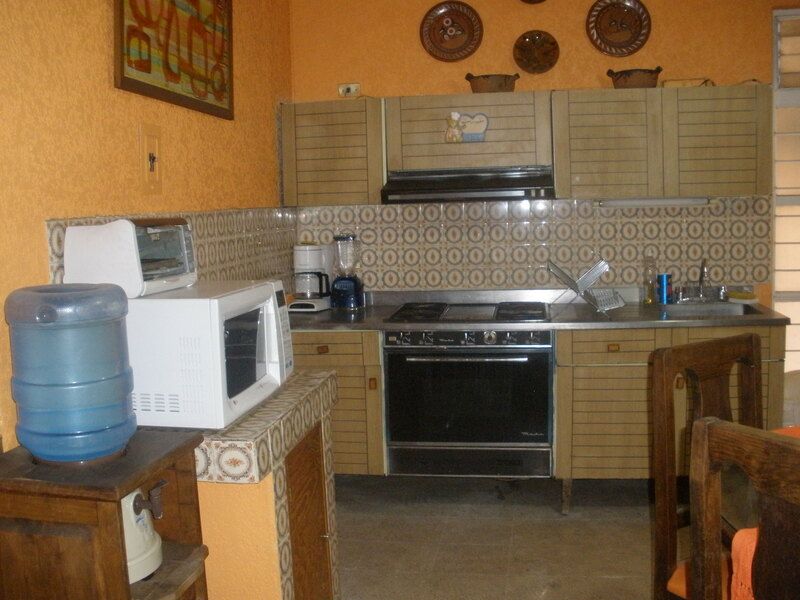 We inquired as to the going rate for a live turkey – around 400 Pesos, or a little less than $40. Fortunately, many of the birds will soon have a new home on the buyer’s farm and not a place on their dinner table, at least not immediately. Even so, I have a feeling we’ll be feasting on something other than turkey this Thanksgiving. November 20th is Dia de la Revolucion, or Revolution Day, in Mexico and commemorates the beginning of the Mexican revolution to overthrow dictator Porfirio Diaz in the year 1910. Celebrated heroes of the revolution include Francisco Madero, Emiliano Zapata and Pancho Villa. Dia de la Revolucion was formally observed this past Monday when schools and businesses were closed so that everyone could enjoy a three day weekend, although the actual celebration and festivities took place yesterday. 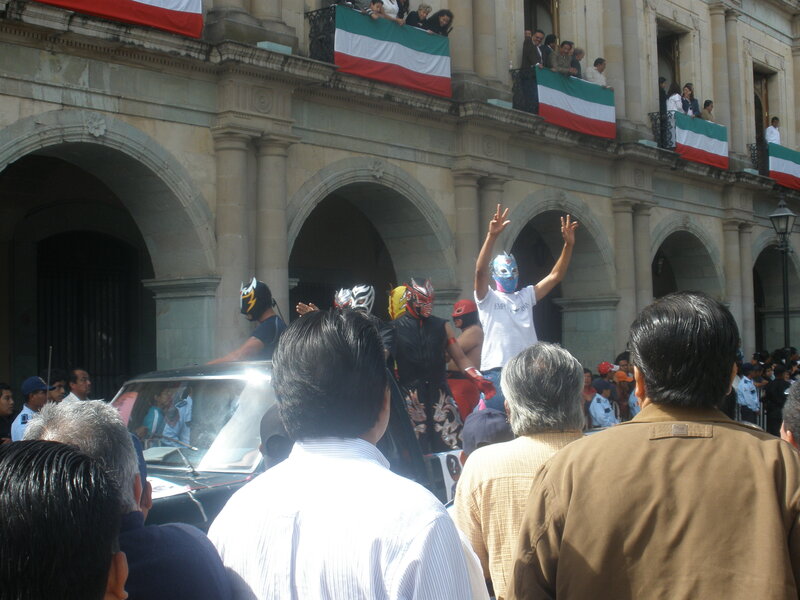 Here in Oaxaca a huge parade complete with marching bands, floats, traditional costumes, dancing and acrobatic performances made it’s way up and down streets throughout the city and firecrackers could be heard going off throughout the day and well into the evening. Located just a few kilometers west of Oaxaca and overlooking the city is the ancient Zapotec capital of Monte Alban. Monte Alban, meaning White Mountain, was first occupied around 500 BC, reached it’s peak between 300 and 700 AD and was abandoned by 950 AD. 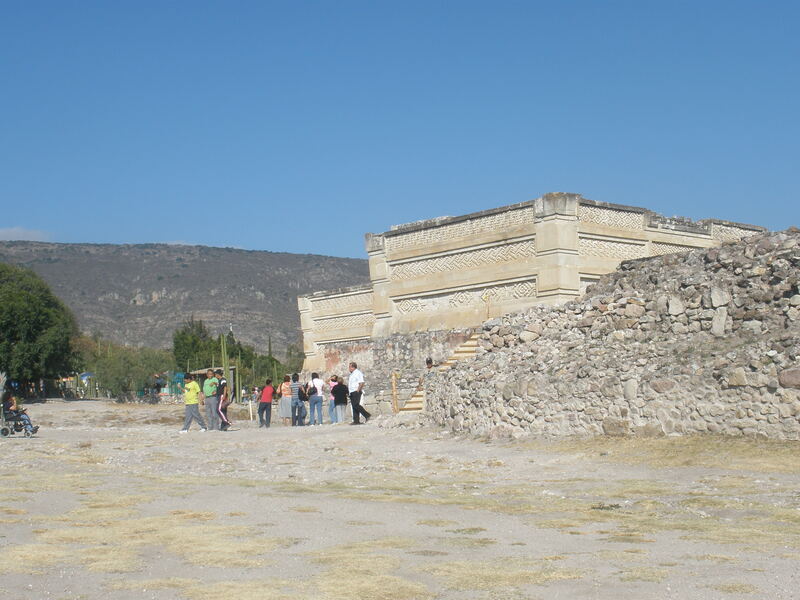 Today all that remains are impressive ruins of pyramids, temples, plazas, and other residential structures high on a mountain top that offers excellent panoramic views of the city and neighboring towns below. 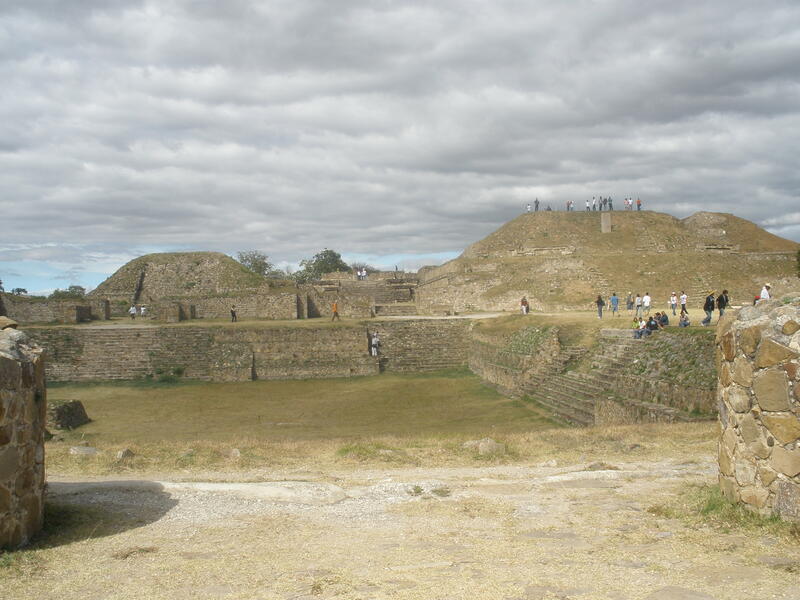 From Oaxaca City it’s easy to visit Monte Alban. Several tour agencies arrange for round trip transportation from the center of town for around $3 and buses depart every half hour. Unfortunately, it was a little cloudy on the day we visited, but I can’t really complain considering we’ve had near perfect weather every day since we arrived in Mexico. We arrived in Oaxaca, pronounced Wa-ha-ca, this past Thursday and already we are looking forward to spending the next month here. In fact, we´ve both taken such a liking to the city that Carlos is considering returning here to study and has begun reseaching local universities. The weather is beautiful; sunny and HOT during the days and cooler and comfortable during the evenings. 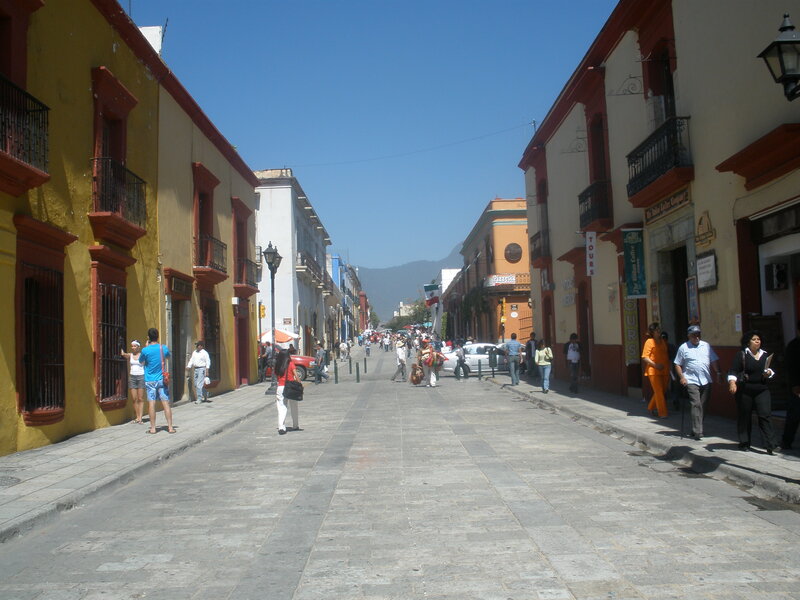 The city is much smaller than Mexico City and more manageable. We spent our first day settling in, learning our way around and shopping in the local markets for food to stock our new kitchen. 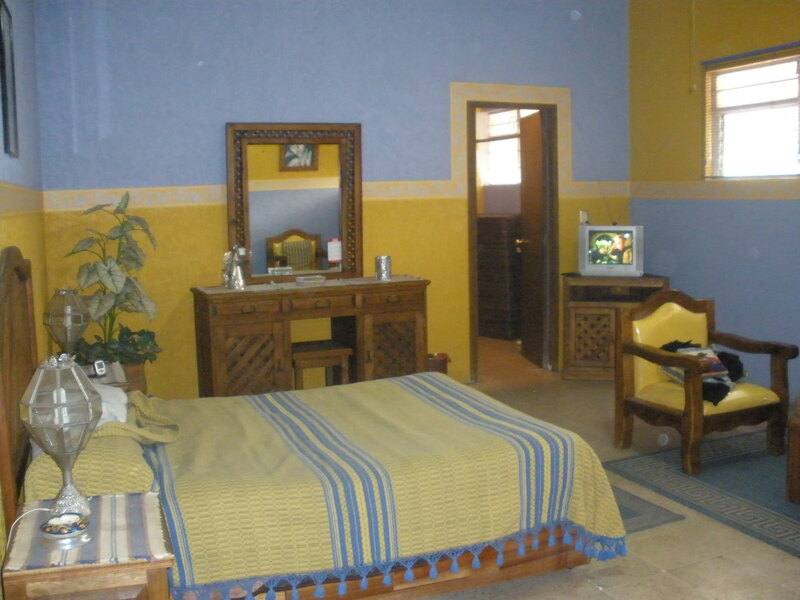 We arranged for an apartment prior to arriving and we were a little curious as to what to expect. Luckily, we´re very pleased. 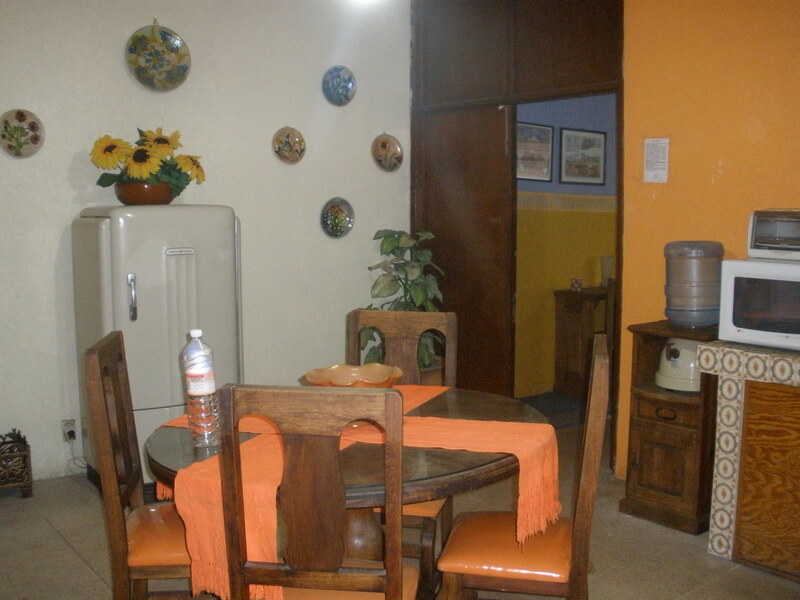 Located just blocks from the Zocalo and within easy walking distance of most of Oaxaca’s attractions it’s fully furnished with two large rooms, one a bedroom/ sitting room and the other a kitchen/ dining area, and a private bath. The only minor inconvenience is a water shortage that we’re told is a problem throughout the entire city and not just our building, and it hasn’t been too much of a problem so far. We’re finally about to begin our year of traveling. First thing tomorrow morning we depart for Oaxaca City followed by Puerto Escondido, Puerto Angel, and later a New Years celebration on the beach. Be sure to check out the rest of our recently revised itinerary here. 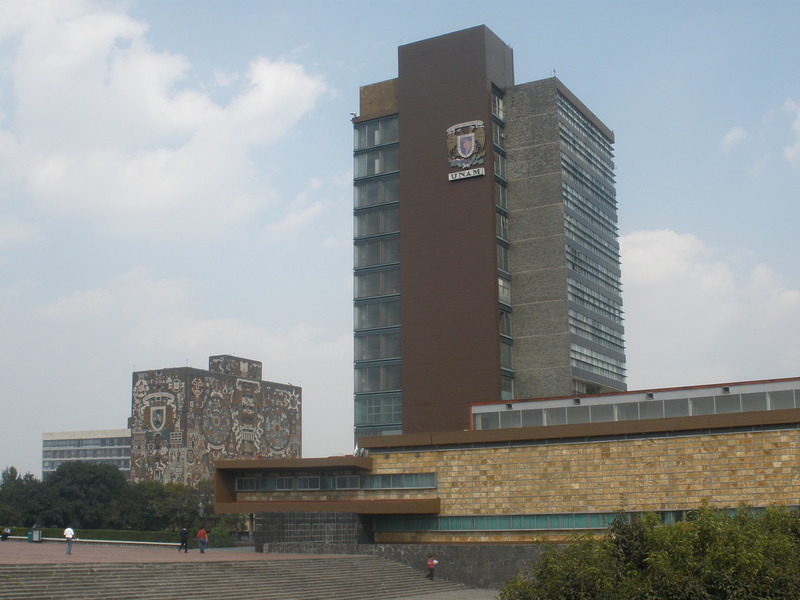 The Universidad Nacional Autonoma de Mexico, or UNAM, is Latin America’s largest university and its main campus is located right here in Mexico City. Recently ranked number one in Latin America and among the top 100 universities and higher education institutions in the world, UNAM is a public university and the source of much national pride. Upholding the ideal of equal opportunity education for all, admittance to UNAM is earned through testing not the ability to pay or repay tuition costs. Once admitted tuition is free as are most of the university services. This is the university Carlos’ sister Maria attends and her costs per semester total the equivalent of less than one dollar in administration fees. UNAM has over 260,000 students and getting accepted is no easy task. It took Maria a couple of years and many failed attempts before finally passing the entrance exams. It is not uncommon for people who can afford to attend a school within the private sector to first attempt to earn admission to UNAM because of its prestige and quality of education. However, for many others the private, tuition based universities in Mexico simply aren’t an option and the public system provides everyone an equal chance at a quality education. The university itself is a showcase of modern architectural achievements. Originally founded in 1553, most of the modern campus was built between 1949 and 1952 and modeled after Spain’s University of Salamanca. The most impressive is the building that houses the university library. Covered entirely with mosaics depicting scenes from Aztec culture, colonial times, the creation of modern Mexico and Latin American culture, the Biblioteca Central is one of the most well known landmarks on the UNAM campus. Other impressive structures include La Rectoria with a three dimensional mural halfway us the side of its south wall, the Facultad de Medicina building and the Estadio Olimpico, both showcasing impressive murals by Francisco Eppens and Diego Rivera.